Antivirus is not legitimate antivirus program, it is a rogue security application that installed with the help of trojans. The rogue uses false scan results and fake security warnings in order to scare you into thinking that your computer is infected with a lot of malware. 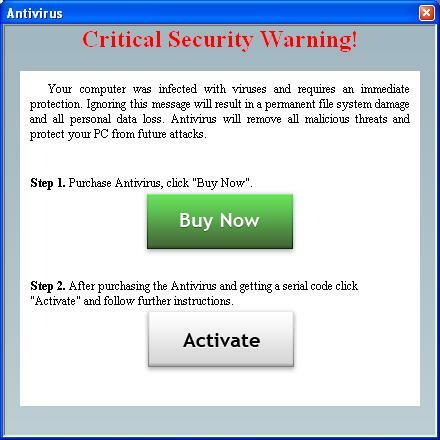 It hopes that you will then buy a full version of Antivirus. When Antivirus is installed, it will register itself in the Windows registry to run automatically when Windows starts. Immediately after launch, the rogue will begin to scan your computer and reports a lot of various infections that will not be fixed unless you first purchase the software. Important to know, all of these infections are fake and don’t actually exist on your computer. So you can safely ignore all that Antivirus shows you. Malicious threats have been found during the last scan. Your computer was infected with viruses and requires and immediate protection. What is more, Antivirus will install a Internet Explorer BHO module (AvBho.dll) that show a warning yellow header “Internet has found unregistered version of Antivirus. To protect your computer, please register your Antivirus” at top of any Internet Explorer window. However, all of these warnings and alerts are fake and like false scan results should be ignored! If your PC is infected with this malware, then use these removal instructions below, which will remove Antivirus and any other infections you may have on your computer for free. Make sure the “Perform quick scan” option is selected and then click on the Scan button to start scanning your computer for Antivirus infection. This procedure can take some time, so please be patient. Make sure all entries have a checkmark at their far left and click “Remove Selected” button to remove Antivirus. 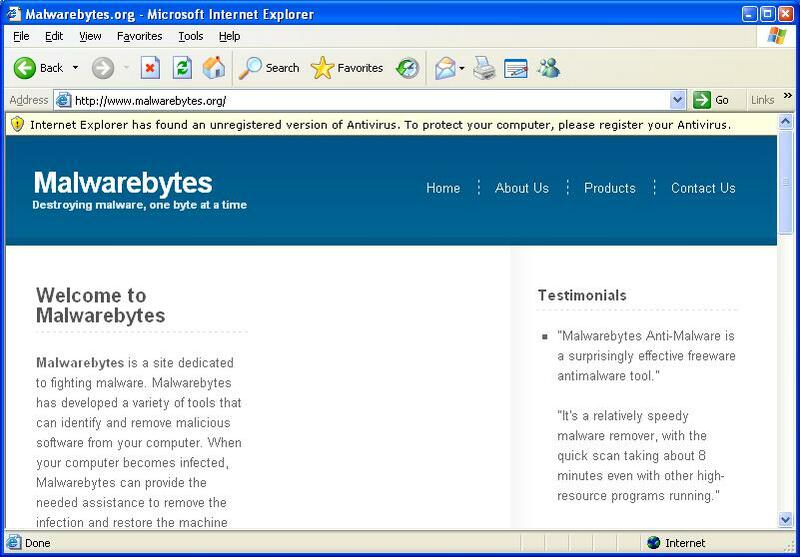 MalwareBytes Anti-malware will now remove all of associated Antivirus files and registry keys and add them to the programs’ quarantine. When MalwareBytes Anti-malware has finished removing the infection, a log will open in Notepad and you may be prompted to Restart. I cannot get into the safe boot with F8 or F2/delete. 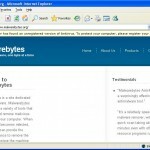 Any ideas on how to get in to run Malwarebytes? joel, open a BIOS settings (don`t make any changes) and then Save them. To open BIOS settings, you need press the DEL key. Most Dell, Toshiba, Gateway, Sony & HP systems will press F2. Compaq users will usually have to press F10. IBM typically uses F1 or F2.